Ricardinho Paraíso is a graduate of the Universidade Federal of Pernambuco with degrees in composition and bass. He’s a master player on the 4,5,6 and 7 string bass. In his music he blends the most traditional folkloric music of the northeast region of Brazil with rhythms like Fusion, Rock and Jazz. He’s a teacher at the IB&T bass institute and a columnist at Bass Player Brasil magazine. 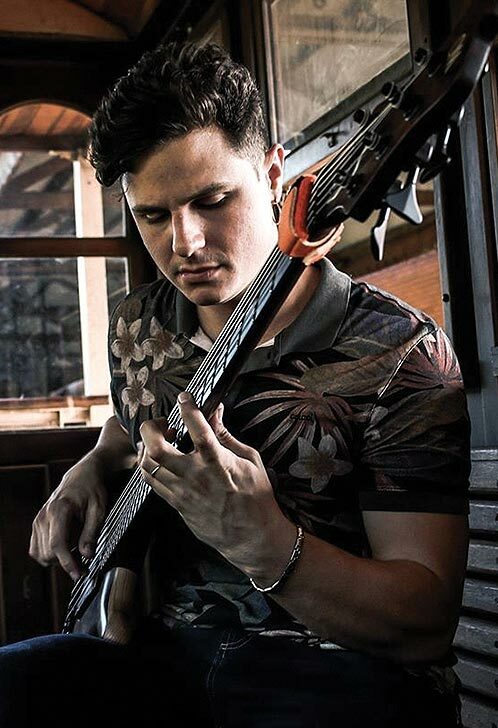 He played and recorded with some of the major brazilian musicians like Oswaldinho do Acordeon, Chico Medori, Mozart Mello, Sandro Haick and Tomati.He’s also the bass player for Renato Vianna, the winner of the brazilian edition of the TV Show The Voice. In 2014 with drummer and childhood friend Renato Lemos they started the bass & drums duo Nordestrônico. The duo blends traditional brazilian music with electronic elements like synths and drum loops. Ricardinho Paraíso is an official endorser for Mayones in Brazil and uses a Caledonius Custom 6 Bass.